On December 8, NOAA scientists discuss ocean noise and what NOAA is doing to reduce this threat in our national marine sanctuaries and beyond. Many marine organisms, including marine mammals, sea turtles, fish and invertebrates, rely on sound and hearing for their survival. Over the last century, increases in human activity within our ocean have led to increasing levels of noise. This increasing amount of noise from anthropogenic sources is a rising concern for the health and well-being of marine organisms and ecosystems. NOAA is working to better understand the ocean soundscape by developing programs that can establish baselines, detect changes in noise levels, and support the design of methods to reduce noise impacts. What: Reddit Science "Ask Us Anything." NOAA scientists Leila Hatch, Jason Gedamke and Jenni Stanley are available to talk about ocean noise...ask them anything! Dr. Leila Hatch is a marine ecologist based at Stellwagen Bank National Marine Sanctuary, a marine protected area managed by NOAA located off the coast of Massachusetts. At Stellwagen, her research focuses on acoustically-sensitive marine species and the impacts of underwater noise. In addition, she provides technical support on ocean noise science and policy for all the sites within the National Marine Sanctuary System. 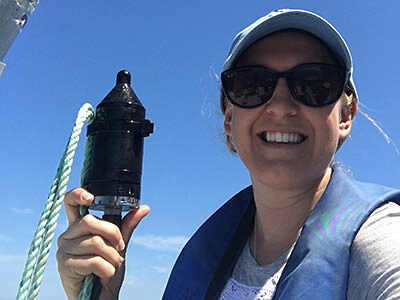 As co-lead of the NOAA Ocean Noise Strategy initiative, she works to coordinate and improve agency-wide noise impact science and management activities. Leila came to NOAA after participating in international research programs examining the impacts of human activities on cetacean populations and after a fellowship in the U.S. Congress. Dr. Jason Gedamke manages the Ocean Acoustics Program within the National Marine Fisheries Service Office of Science and Technology in Silver Spring, MD. Through the Ocean Acoustics Program, Jason supports and conducts research examining the potential impacts of anthropogenic sound on marine animals and is a co-lead on NOAA's recent Ocean Noise Strategy initiative. 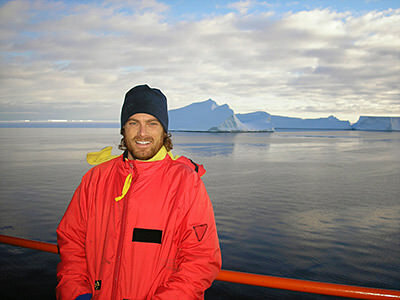 Prior to arriving at NOAA, Jason worked as a biologist for the Australian Antarctic Division where he conducted acoustic research on cetaceans in the Southern Ocean and provided scientific advice regarding the potential impact of man-made sound on marine mammals. 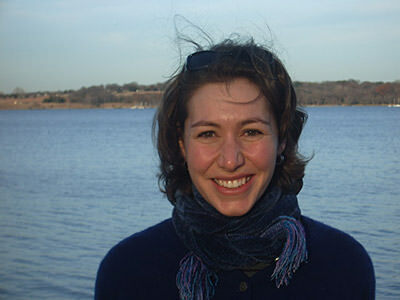 Dr. Jenni Stanley is a postdoctoral researcher with NOAA's Stellwagen Bank National Marine Sanctuary and Northeast Fisheries Science Center in Woods Hole, MA. Jenni conducts research investigating ambient underwater soundscapes and how natural and anthropogenic sources of underwater sound effects marine organisms (specifically fishes and invertebrates). She is currently working on a project investigating the underwater soundscapes in multiple national marine sanctuaries around the United States. Prior to joining NOAA in 2015, Jenni was a postdoctoral fellow at the Institute of Marine Science, University of Auckland, in New Zealand.